Got Drought? 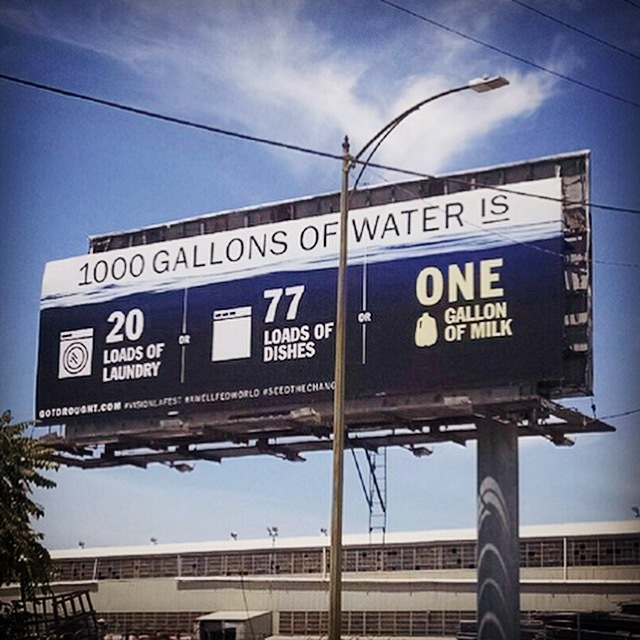 is a public art project and social media campaign aimed at raising people’s awareness about how much water it takes to produce meat and dairy as opposed to a plant-based diet. 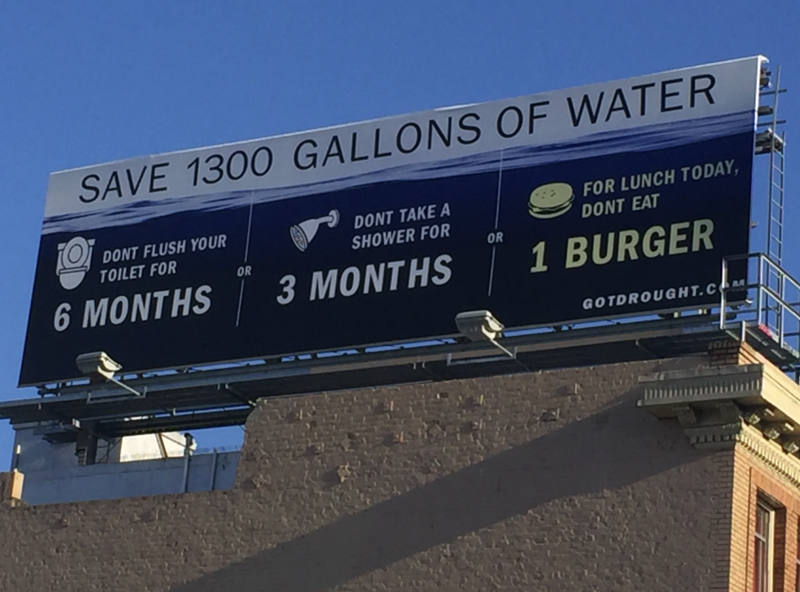 Los Angeles-based artists Karen Fiorito and Alex Arinsberg teamed together to erect a series of billboards about the relationship between water, pollution and diet, with an emphasis on the drought in California. This series of 12 billboards debuted in Los Angeles from November 30 – December 27, 2015 and was a part of the Vision LA Fest Climate Action Arts Festival and in unison with the UN Climate Summit in Paris. The project has since continued with a generous grant from LUSH Cosmetics and has recently travelled to San Diego, Fresno, Oakland and San Jose. Sacramento and San Francisco are in the planning for Fall 2016!